Toxins Snakes, Scorpions and Bees Keep Secrets Cancer Drugs - Ancient texts indicate physicians since ancient times have used poison to treat various illnesses for many years. Chinese traditional medicine such as using poison frogs to fight heart disease, lung, colon and pancreatic cancer. Now a group of researchers from the University of Illinois managed to find a way to use animals such as bee venom, snakes and scorpions to stop the growth of cancer cells. They present the findings at the American Chemical Society conference in 2014. Research leader Dipanjan Pan, PhD, said the cancer drug discovery team is different from the existing chemotherapy drugs. With the extracted proteins important in toxins and combine it with nano technology, a drug that is being developed will only attack cancer cells while leaving healthy cells. While chemotherapy drugs are available at this time not only attack cancer cells but also attack the body's healthy cells. Attached to the cancer cells, the synthesis of nanoparticles with toxins can slow or stop the cancer cells. 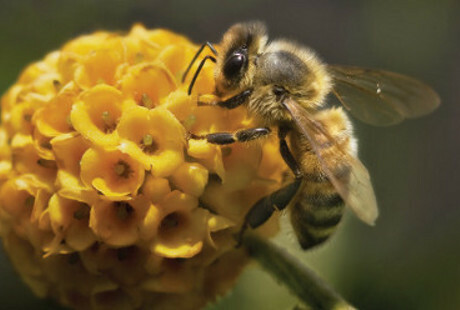 Synthesis bee poison rather successful in stopping the cancer stem cells when tested in the laboratory. "This is what makes us very interested. These cells are the cells responsible for making cancer coming back. If we can apply a better way than this technique, we could potentially have a better cancer treatment," Pan said as quoted by CNN , Wednesday (08/13/2014). In a period of three to five years, Pan and his team will test the toxic combination technique of synthesis and nanotechnology in cancer cells in pigs and rats. If successful then they will test the technique on humans.